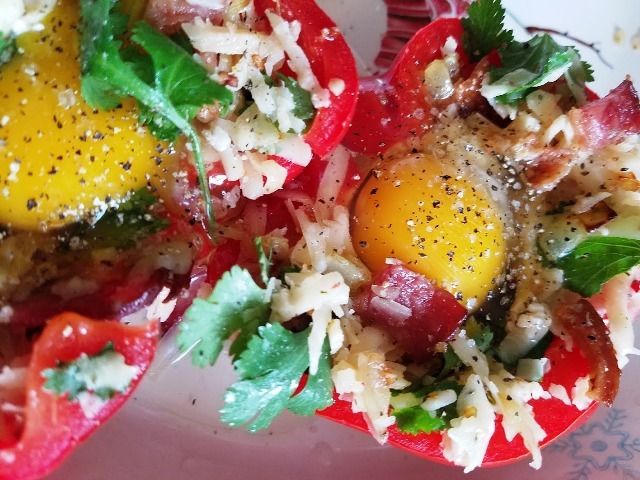 These delicious pepper cups are just as beautiful to look at as they are to eat! Filled with bacon and eggs and Cabot Cheese, they are perfect for a brunch party when you want to impress your guests. These pepper cups are easy to put together and a show stopper. I used Cabot Tomato Basil Cheddar Cheese for the mixture inside of the red pepper cups. 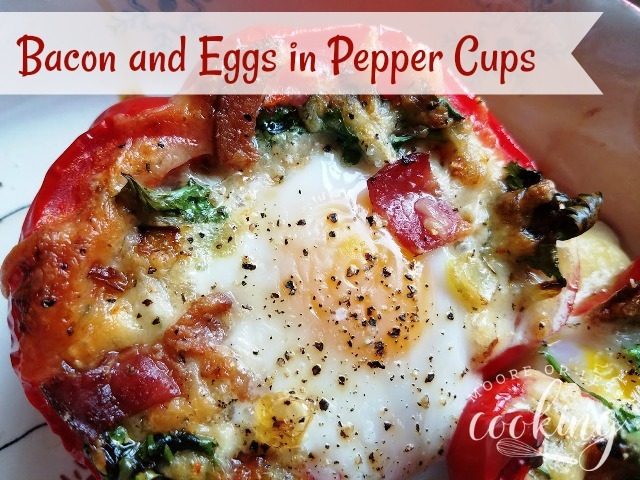 It adds a delicious flavor to the pepper cups. Make the bacon ahead of time on a baking sheet, covered with parchment paper or foil. Place a half a pound of bacon on parchment covered baking sheet. Bake at 400 degrees Fahrenheit for 10-12 minutes. Drain bacon on a paper towel. 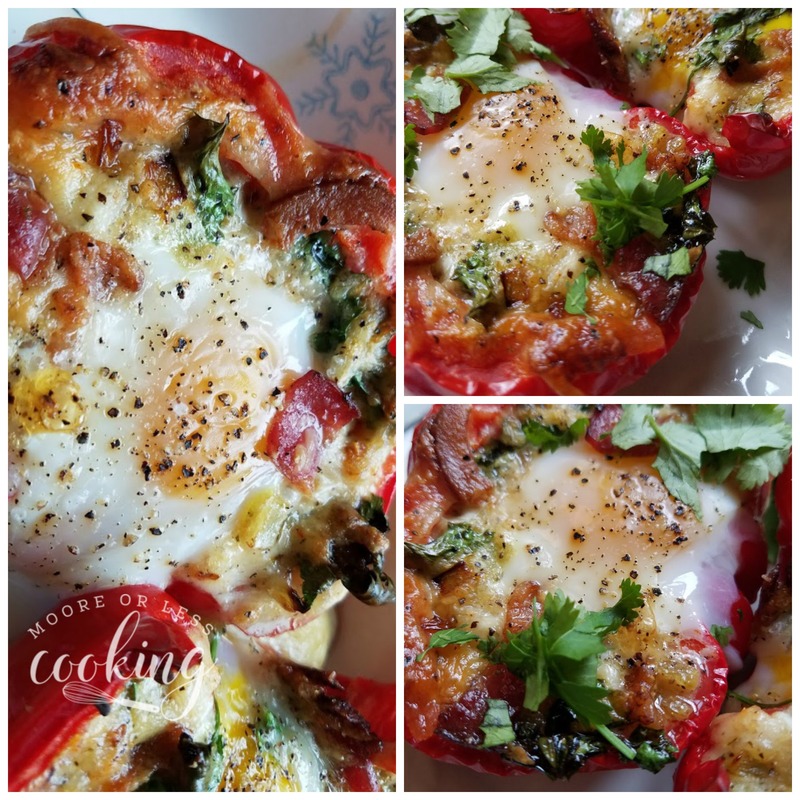 You will need eggs, red peppers, onion, garlic, cilantro, Cabot Tomato Basil Cheddar Cheese for this recipe. Saute 1/2 cup of chopped onion in a pan with 1 tsp of olive oil on medium low heat. Cook until caramelized and golden brown. Add garlic, cook until fragrant. 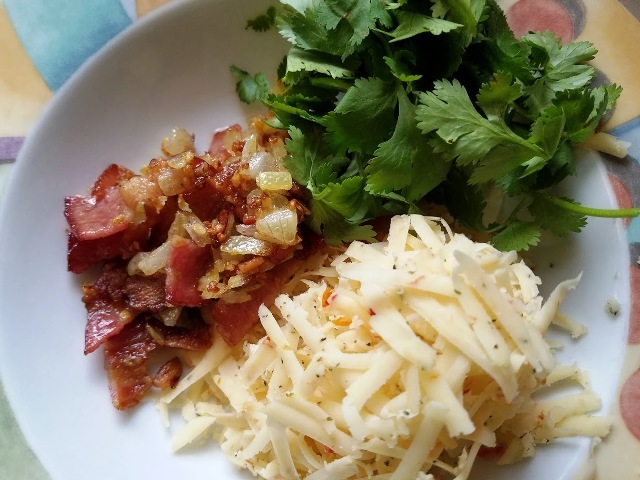 Pour onion mixture into a bowl, add cheddar cheese, chopped bacon, and cilantro. Cut peppers in half lengthwise. Pull out the seeds and membrane. Discard. Cook the peppers in a large pot of boiling water, just enough for the peppers to be tender, not collapsed, around 6 minutes. Let cool slightly. 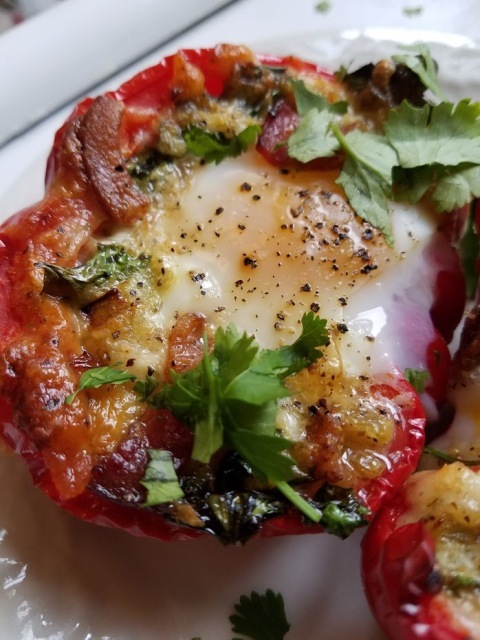 Delicious Bacon and Eggs in Pepper Cups. Guaranteed to wow the crowds! Cook peppers in a large pot of boiling water, around 6 minutes, just until tender. Drain. Place in a baking dish. In a skillet, add olive oil and onion, cook for 4-5 minutes over medium heat, until softened. Add garlic, cook until golden brown. Pour mixture into a bowl, add cheddar cheese, bacon and cilantro. Divide mixture into four peppers. Press mixture into the sides and hollow for the egg to go into the center. Sprinkle salt and Pepper over egg. Bake for 20 minutes or until the eggs are cooked the way that you like them. Sprinkle with more cheese. Serve hot. 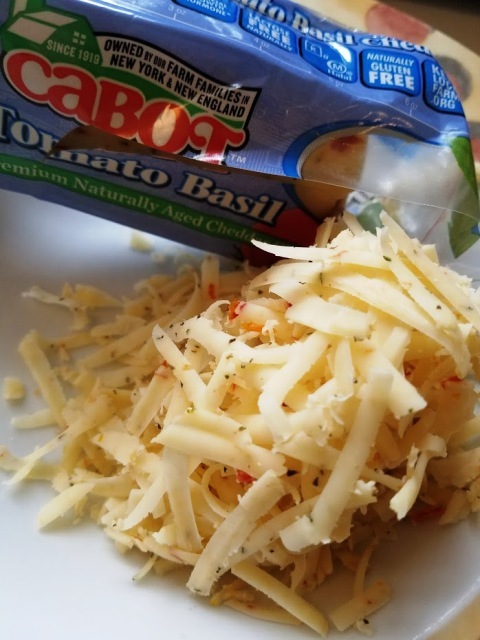 What’s your favorite Cabot Cheese? Tell me below in the comments. i have tried it today ,the taste was just yummm but it got burnt a bit from top..i followed the baking instructions strictly..what could be the reason?? 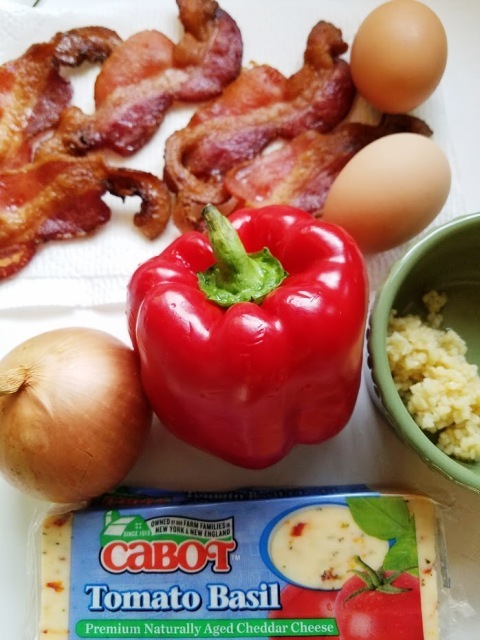 Albert, it could be your oven temperature – when the temperature is set too high, the outside of your bacon and eggs in pepper cups bakes fast while insides are still baking, and there are higher chances of the eggs burning. Even after lowering the temperature, your eggs still seem to brown too quickly then most likely there’s a problem with the settings and the heat waves are uneven. What you can then do is cover your baking dish with aluminum foil. This way, the top is protected from excessive heat.